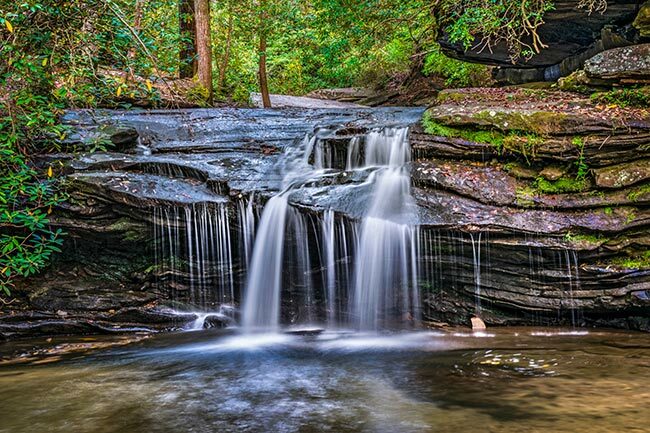 The falls can be found within the park at the trail head. 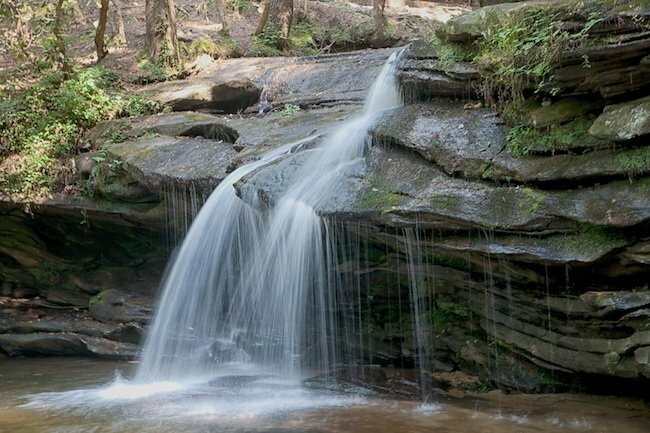 They flow just beyond the nature center and introduce visitors to the beauty of Table Rock. Even non-hikers can enjoy spending time at the falls, rock-hopping, wading, and photographing the lush greenery that surrounds the cascade. 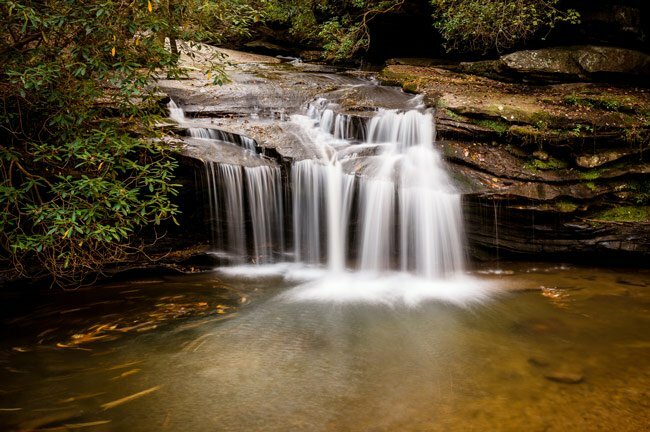 Those wishing to hike within the park but who may not want to commit to the 7.2-mile round trip on Table Rock Trail can hike the Carrick Creek Nature Trail, a 1.5-mile loop that is far-less time consuming yet still showcases the waterfall and mountain vegetation. 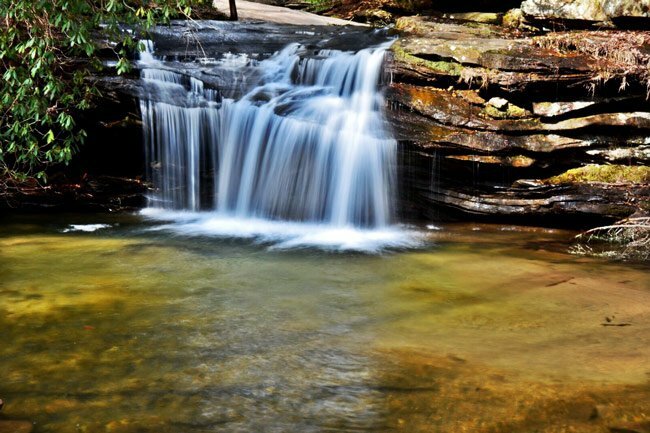 Make sure to register at the nature center before adventuring out into Table Rock Park so that the park rangers know you’re there and know where you are going. 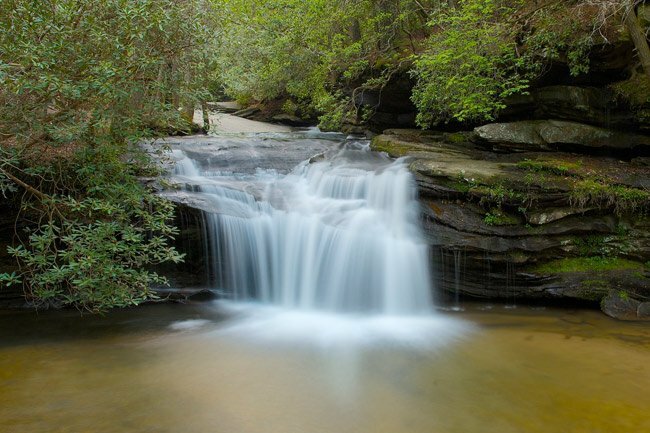 See more SC waterfalls.